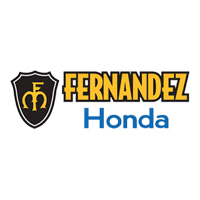 This 2018 Honda CR-V LX is offered to you for sale by Fernandez Honda San Antonio. If you're in the market for an incredible SUV -- and value on-the-road comfort and manners more than ultimate off-road prowess or tow capacity -- you'll definitely want to check out this Honda CR-V LX. This vehicle was engineered to be both economically and environmentally friendly with exceptional fuel efficiency. Look no further, you have found exactly what you've been looking for. There are many vehicles on the market but if you are looking for a vehicle that will perform as good as it looks then this Honda CR-V LX is the one! Looking for a clean, well-cared for 2017 Honda Accord Hybrid? This is it. CARFAX BuyBack Guarantee is reassurance that any major issues with this vehicle will show on CARFAX report. The less money you spend at the pump, the more money you'll have to spend on you. So why not consider this wonderfully styled, fuel-efficient Honda Accord Hybrid. You can finally stop searching... You've found the one you've been looking for. he Honda Accord is very popular in the mid-size segment, continually selling at the top of a very competitive class.The Accord is a solid value, even in its humblest configuration. With its capable and sophisticated chassis, the Accord can feel quite luxurious when properly optioned. This versatility allows it to be either a spacious alternative to many economy cars or a less expensive alternative to many luxury cars. There is even a stylish coupe available with performance to match its already stellar platform. You can find this 2018 Honda Accord Sedan Sport 1.5T and many others like it at Fernandez Honda San Antonio. This vehicle was engineered to be both economically and environmentally friendly with exceptional fuel efficiency. This is the one. Just what you've been looking for. Surprising quality accompanied by a high level of performance...this Modern Steel Metallic on Black Honda Accord Sedan Sport 1.5T could end up being the perfect match for you. The Honda Accord Sedan Sport 1.5T will provide you with everything you have always wanted in a car -- Quality, Reliability, and Character.